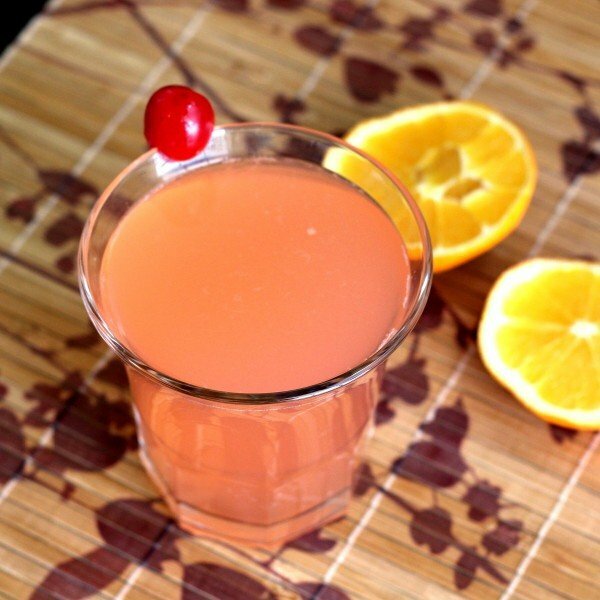 The Blossom is a very straightforward cocktail with only three ingredients. It’s extremely similar to its cousin, the Orange Blossom, except the ratios change and it always includes grenadine rather than simple syrup. While the Orange Blossom is great for breakfast, because it’s low on alcohol and has four ounces of orange juice, the Blossom is a bit too strong for first thing in the morning. Think of the Blossom as a more serious, grown-up version of the Orange Blossom. Perfect for a night out dancing. Shake the ingredients together and pour into an old-fashioned glass. Ice is optional.